Legendary Fuji musician Wasiu Ayinde Anifowose a.k.a. 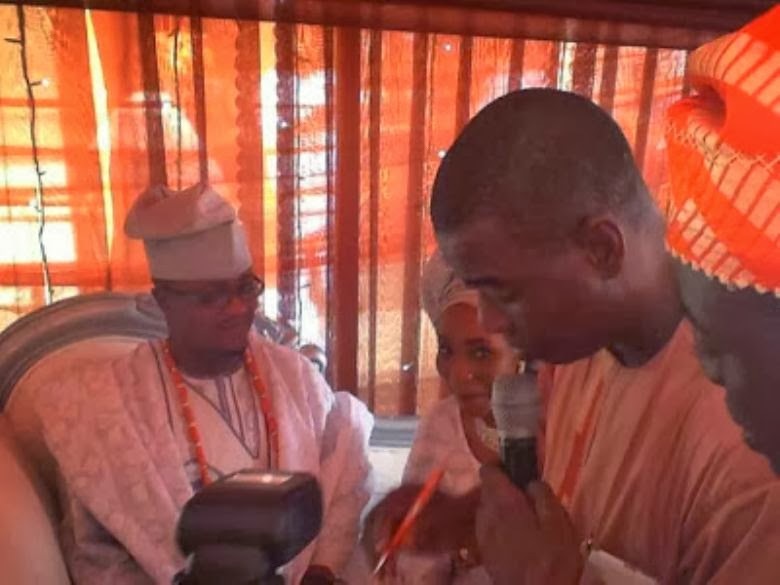 KWAM 1, weeks ago announced that his three beautiful daughters were going to get married on the same week, and as said he has organised a superb wedding for one of his daughters, Hidayat Abolaji Anifowose. The ceremony was conducted in accordance with both Islamic and tradition rites in Ijebu Ode town, Ogun State, on March 4, 2014, Tuesday. Kwam 1 also celebrated his 57th birthday on the same day. The series of parties and celebrations will continue for him as musician's second daughter, Aminat, is getting married on March 6, 2014, while the third daughter, Sekinat, will have her ceremony on March 9, 2014.